Complete your continuing education to renew your MN real estate license today. All of our courses can be completed At Your Pace online in order to help you maintain your license. Once you finish your class you will have an official certificate of completion available and we will report your course completion to the commission for you automatically. 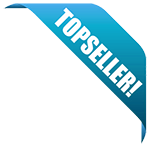 We are approved by the Minnesota Department of Commerce as an online CE provider. Licensed agents are required to take 15 hours of continuing education each year. The remaining hours are elective hours and can be achieved by taking any course approved with the Department of Commerce for Real Estate. All required modules for that two year period. Enough additional electives to reach 30 hours. No course can be taken for credit twice in the same two year renewal cycle. Depending on the renewal cycle your CE requirements may change. This 11.25 hour package of educational content is designed to provide real estate professionals with an overview of important topics and concepts. This package covers topics such as the provisions of the National Association of REALTORS Code of Ethics, mathematics and real estate calculations, contracts, professional real estate activities, escrow, the closing process, and comparative market analyses. This 3.75-hour course is designed to provide real estate professionals with an overview of current issues and concepts. The course covers topics such as the history and evolution of both common law agency and fair housing laws, including Minnesota's own agency and fair housing laws; ethics, duty, and relationships in real estate transactions; special entities; powers of attorney; trusts and client trust accounts; estates of the deceased; legal capacity; marital status impact on real estate transactions; and working with corporate and business entities as buyers and sellers. This required module is designed to provide real estate professionals in Minnesota with training on how to manage a number of sources of risk. This course is three hours and forty-five minutes. This course will cover ethics for real estate professionals. It is a 3.5 hour course and is intended to help fulfill the required CE hours for real estate professionals in Minnesota. The course covers topics such as the basics of ethics, ethical duties of people who work in the real estate field, and concludes with a look at some ethical situations. This class will cover the major tenets of land-use control, starting with covenants, conditions, and restrictions, which are more commonly known as CC&Rs. You'll learn how zoning and master plans both influence development and protect property values and examine the purpose behind building codes and regulations and new-home warranties. Finally, we'll go over laws regulating Common Interest Communities. This course will cover the common law of agency. It is a 2.25 hour course and is intended to meet and exceed the one hour of required education in Agency. The course will cover topics such as types of agency, the agency relationship, and different types of authority. Upon completion of the course your CE credits will be uploaded to Minnesota. This 1.5 hour course and is intended to help fulfill the required CE hours for real estate professionals in Minnesota. The course covers topics such as listing agreements, tenant representation agreements, and purchase agreements. This 1 hour course covers fair housing topics, and is intended to meet the one hour of Minnesota required education in Fair Housing. The course will cover topics such as the history of fair housing, how it affects the real estate market, and executive orders that have had an impact on fair housing. This course is approved for 3.75 hours and will cover various contracts, addendums, and agreements involved in real estate transactions in Minnesota. The course focuses heavily on basic contract law, purchase agreements, representation contracts, financial and inspection contingency addenda, disclosure issues, and selling property as is. The licensing Education Division has approved your request for course approval. 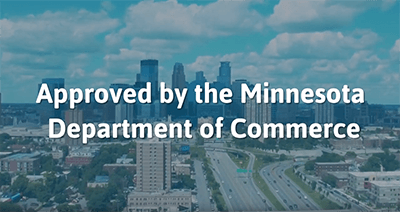 The Minnesota Department of Commerce has partnered with Pearson VUE to create a new electronic licensing system for real estate licensees. As part of this system, education providers are required to set-up an account with Pearson VUE. To do this, please visit Pearson VUE's web-portal at www.pulseportal.com and create a username and password. You will be able to access your Minnesota Real Estate education provider and course approval information only after you have set up your user account. You will also be responsible to use the Web-portal to eletronically enter subsequent offering dates and locations for your approved courses at least 30 days before the course is to be held. Furthermore, you must submit student attendance roster information through the Web-portal, once the course is completed and if renewable, renew courses as they come due. If you have any questions about setting-up your account, please contact Pearson VUE at 877-244-1688.